This week’s Kerrang! Magazine features a slew of hugely positive reviews of Division artists. 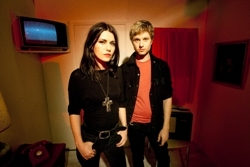 Blood Red Shoes receive 4/5 for their performance at Shepherds Bush Empire last week, Funeral For A Friend also score a 4/5 for new album ‘Conduit’ and Irish upstarts Wounds continue the theme with 4/5 for their album ‘Die Young’. Transgressive Records are to release their first ever re-issues with the classics ‘Acrobatic Tenement’ & ‘Relationship of Command’ from trailblazers At The Drive-In. Check out the News on NME.com. FFAF have scored a nice double whammy of reviews today with praise for new album ‘Conduit’ in both The Guardian & The Sun. Other glowing reviews have gone online at BBC & Stereoboard with NME.com featuring an exclusive track by track video. Rock Sound will be hosting a Twitter takeover with FFAF on Monday 28th Jan, the day on which ‘Conduit’ is unleashed on the world! Division Bands You Need To Hear Now! According to Kerrang!, we have several new artists on the roster that are in need of your immediate attention. In the latest issue of the mag, Night Verses, The Recovery! and Such Gold feature as some of the Bands You Need To Hear in 2013. We agree wholeheartedly. 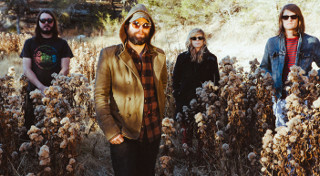 Texan psych-merchants The Black Angels announce their brand new album Indigo Meadow, out April 1st. For a taste of what’s to come, check out the provocative new track ‘Don’t Play With Guns’ on YouTube. Dinosaur Pile-Up are roaring back into gear with the announcement of their second album – ‘Nature Nurture’. Set for release on 13th May, you can check out the first track to be unleashed – ‘Lip Hook Kiss’ – on their website where it is available as a free download. Such Gold are off on tour with Funeral For A Friend this week and they’re making an impression on UK press with an Introducing piece in the new issue of Rhythm. The magazine also includes an Introducing feature with The Recovery! as well as a stellar 4/5 review of the FFAF album! Funeral For A Friend‘s already-much-lauded sixth album ‘Conduit’ can now be previewed at this link. The album has been receiving praise left, right and centre with stellar reviews in the likes of Q, GQ, Metal Hammer and Total Guitar so far as well as full page reviews in Front (4/5) and Rock Sound (9/10) – the latter referring to FFAF as “one of our most treasured bands.” So true. 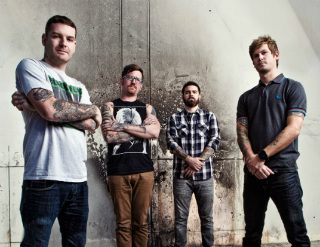 Ten years into their career, Senses Fail sound more vital than ever on new album ‘Renacer’ which will be released in the UK on 25th March through Staple Records. Produced by Shaun Lopez of Far, this is some of the band’s heaviest material to date. Everyone’s favourite British punk’n’rollers The Smoking Hearts will release their second album ‘Victory!’ through Bomber Music on 25th March. Check out the first single ‘Seatbelts’ here.